In previous articles, I have discussed a key differentiating trait I’ve observed in successful people: they get things done not by pursuing motivation but through discipline, self-control, determination, and willpower. They actively seek a way to work at whatever must be done even when they do not really feel like doing it. 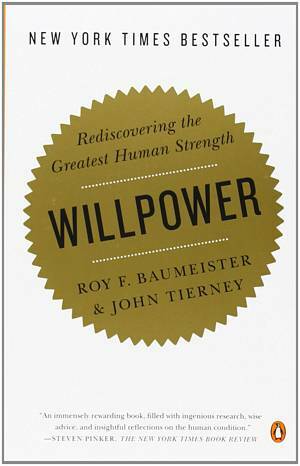 In Willpower: Rediscovering the Greatest Human Strength (2011,) New York Times science writer John Tierney and Florida State University psychologist Roy Baumeister discuss the virtues of self-control, and the concepts of ego depletion and decision fatigue. 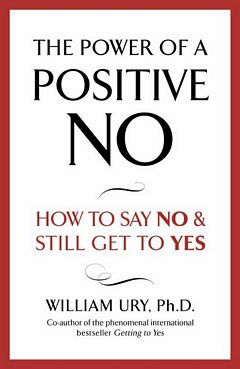 This informative tome is grounded in thirty years of academic research into willfulness and self-discipline. Willpower starts with the assertion that intelligence and willpower are your two best predictors of achieving success in life. You may not be able to meaningfully increase your intelligence, but you can surely enhance your capacity for self-control. Parenthetically, when people were inquired about their failings in life, a lack of self-control was consistently at the top of the list. The book’s central theorem is the much-debated “strength model of self-control.” This “muscle metaphor” states that willpower is like a muscle that tires out—or runs out of energy—as you use it, but can be fortified through practice. You have a limited amount of willpower, which, in the short term, depletes as you use it and must be replenished. Each instance of applying willpower (e.g. repressing your thoughts and actions, working intensely, stressing at work, making decisions, and dealing with difficult people) drains the same psychological reservoir of self-control. Expending willpower in one sphere of life leaves you less able to exercise self-control in another. Just as muscles can get overworked and become tired and feeble until they can recuperate, the exercise of self-control causes fatigue. Willpower is fuelled by blood glucose. Therefore, acts of self-control drain the glucose. When glucose is low, self-control failures are more likely. Restoring glucose to a sufficient level usually improves self-control. Willpower can be restored by boosting blood sugar. Foods like white bread, potatoes, white rice, and sugared snacks cause boom-and-bust cycles of willpower since these foods are quickly converted into glucose. Vegetables, nuts, raw fruits, and cheese are converted more slowly, and therefore provide ‘fuel’ more progressively. Being in a tidy room seems to increase self-control and being in a messy room seems to curb self-control. Your daily supply of willpower is limited. If you exhaust most of your willpower during the day at work, you will have less self-control, tolerance, and imperturbability when you come home to family. 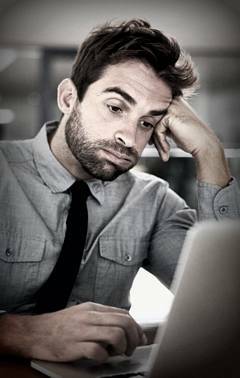 Many marriages go bad when stress at work is at its worst: people use up all their willpower on the job; their home lives suffer because they gave much to their work. When your willpower is low, you’ll find it more arduous to make tougher decisions. Moreover, during decision-making, you’ll be more reluctant to eliminate some of the options you could choose from. In the long term, practicing willpower strengthens it, just as a muscle develops stamina and power when consistently exercised. Even small, inconsequential acts of self-control—avoiding slouching, for example—can strengthen your capacity for self-discipline in the long term. When you resist one temptation but cannot resist another, your egos have been fatigued by the exercise of willpower. Conversely, you can resist temptations across the board when your ego has been strengthened by exercise. Stress instigates many negative emotions because stress depletes willpower, which consequently diminishes your ability to control and overcome those negative emotions. The best use of willpower is in setting priorities and getting things done. Given you have a limited amount of willpower on a given day, you’re best served by budgeting your willpower and spending it where and when you need it the most. Clear, attainable goals combined with rewards strengthen willpower. Monitoring goals and committing yourself publicly to your goals can help you counteract weakness of will. Live as much of your life as possible on an autopilot. Eliminate distractions, temptations, and unnecessary choices. Simplify. Develop routines and cultivate habits that you can eventually do robotically. Organize your life to decrease the need for willpower. Conserve willpower for demanding circumstances. Recommendation: Read Willpower. This New York Times best seller is filled with guidance about how best to deploy willpower to overcome temptation and how to build up your willpower ‘strength’ with small—but regular and methodical—exercises. Even if somewhat academic for a self-help book, this worthwhile volume is filled with resourceful research, practical advice, and enthralling stories of people who’ve achieved personal transformation owing to the strength of their will.